1939 Chevy 1/2 ton Panel Truck Photo Picture Classic Cars for sale & Classifieds - Buy Sell Classic Car & Classic Truck Classifieds. This old Panel truck had ben left to Rusty away in a corn field, before being pulled out and saved. cool cool cool, make it a 4by and it would be awesom!!! Restore it. It would be an amazing truck restored original or custom! 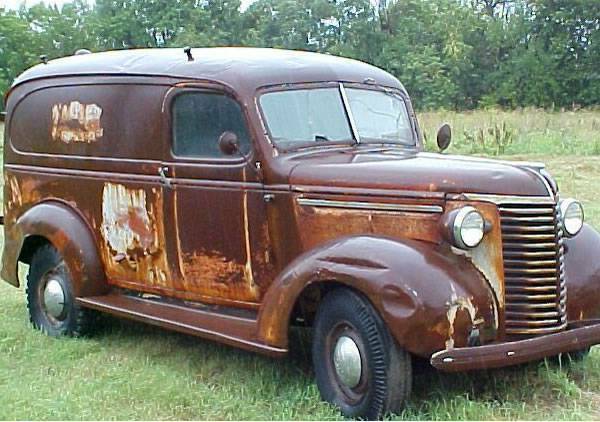 I like it.It would make a nice barn mate for my rat37 1/2 full fendered rat.Like that its got a ok grill.This is the first year of split windshild in chevy trucks but they still cranked out through early 1947.